Podcast Question of the Week – Episode 75 – Alohomora! 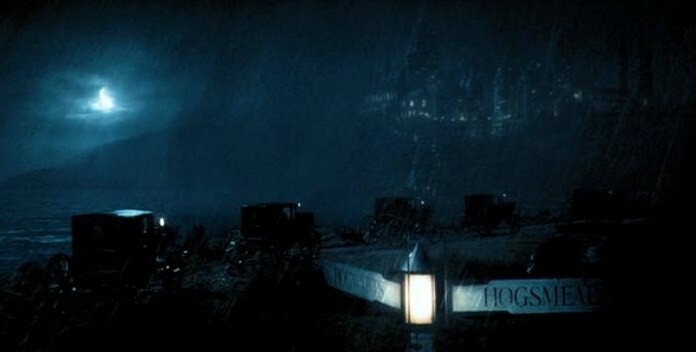 In this last chapter, Harry notices the horseless carriages coming towards the students. Bearing in mind Jo’s own words on the matter, do you agree or disagree that Harry should have been ready to see the Thestrals at the end of this book? Hasn’t Harry been through enough and come to enough of a realisation of what has happened, for the Thestrals to be visible to him now? Or, if Cedric’s death needs more time to sink in, at what point precisely would this have occurred for Harry? – JKR, Edinburgh Book Festival, Sunday 15th August 2004. Announcing The Great Mandrake Snapchat Competition! Episode 75 – GoF 37: Yay, Death! First Look at Hagrid’s Motorbike Adventure’s Blast-Ended Skrewts!